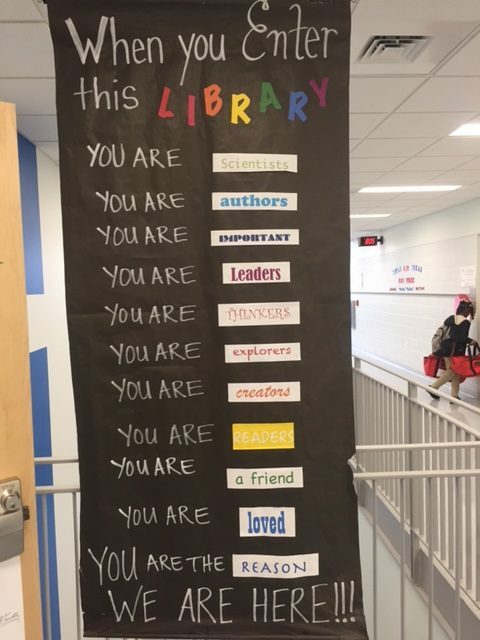 When You Enter This Library . . . I stopped and took a quick snap of this banner outside a library at some point during one of my school visits this past year. Best guess: somewhere deep in the heart of Fort Worth, Texas. Still very much hoping to schedule more visits for this coming year. Give me a jingle.